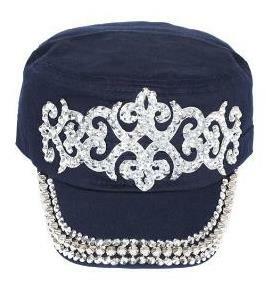 Great jeweled and blinged cadet caps. 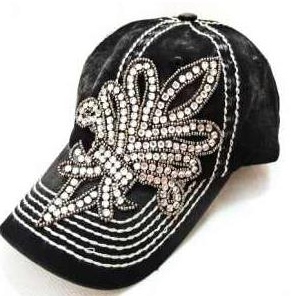 You will be wishing for a "bad hair day" so you can wear this cap. They do have velcro in the back and a ponytail hole.